After a hall of fame career that began in 1969, George Foreman was flat broke by the late '80s. 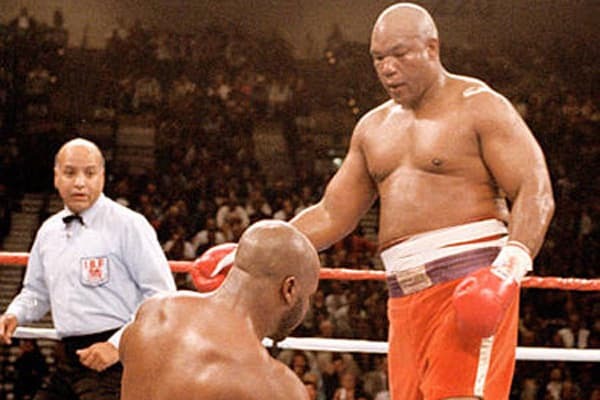 He then returned to the ring (1987-1997) to get his cake back up and had an impressive run at 45-years old with a 31-3 record capped off by knocking out Michael Moorer. Foreman flipped his newfound fame into the Lean, Mean Grilling Machine when he sold the rights to his name to Salton Inc. in 1999. He also hustled Meineke Mufflers, wrote a couple books, and commentated for HBO Boxing.